How Many Solar Panels Do I Need To Power My Home or Business? Installing solar panels is a great way to start saving money on your electric bills, but first, you have to make a few key decisions regarding your solar array, including brand, model, and size and most importantly: How many solar panels do I need? Choosing the right size solar array can help you to earn the most from your panels, because it ensures that you are balancing the energy you use with the energy you export, so you achieve the right balance between your initial investment and your long-term earnings. Calculating the maximum size of an installation for your home is a great first step because it will give you a good idea of what is and is not feasible. This calculation involves roof size and budget, and will simply allow you to see what you have to work with so that you can make additional decisions based on those factors. 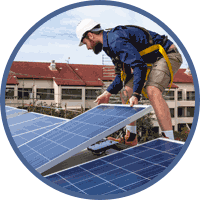 Roof Size – The size of your roof directly affects your physical ability to install solar panels. However, while you can start with the maximum number of panels that will fit on your roof, it is always best to review your needs and make the best decision for your budget. Calculating the size of your roof requires that you know the measurements of your building. You can either check with the original blueprints for the home or use a measuring tape to measure along the bottom wall of the home to get a general idea of the size of the roof. Remember to only measure spaces that are suitable for solar panels. For example, if you want to install panels on the south side of your home, you can measure the length of roof along the South side and then the east side from the corner to where the roof ends, or typically about 50% of the wall. Why measure the walls instead of the roof? The calculations will be less accurate, but it is much safer to do by yourself. Ideally, solar panels should be installed on a south facing roof with a 40-degree pitch and little to no shade. If that isn’t possible, you can still earn money from solar panels installed on other types of roofs and in other directions. You can simply multiply the measurements of each wall to get your total home size. So, if your south facing roof is 3.4 x 5.8 meters, you have 19.72 square meters of roof space. Solar panels do not come in standard sizes, which means that you may need a different number of panels depending on the brand you choose. In fact, solar panels can vary in size from model to model from the same brand. This means that you can re-calculate the size of your array depending on the brand and model that you choose. Essentially, you will have to pay close attention to what you are installing and its specific measurements, especially if you intend to install the maximum amount of panels for your roof. The average solar panel is 78.74 x 157.48 centimeters, which you can use to roughly calculate how many panels your roof will hold. In this case, each panel takes up roughly 1.239-1.44 square meters of space. For a 19.72 square meter roof, you could install a maximum of 12-15 solar panels. It is always important to estimate lower rather than higher if your calculations do not fall on a whole number. Budget – Your budget affects what you can and cannot buy. While you will earn money back through the Feed in Tariff, there are no real solar grant programs available in the UK for domestic installation. 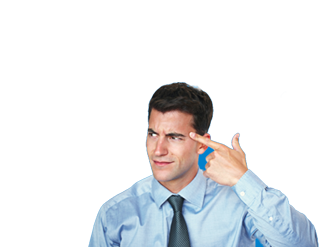 And, while you can apply for a loan, the interest rates on most will eat into your return on the panels. The average installation in the UK costs £6,000 and up but you can expect to pay an average of £2,000 per additional KwH of energy production for the array. Once you know how many solar panels you can install, you can calculate how many solar panels you need using the following information. Energy Usage – You can check your home’s yearly energy usage on your energy bills or on a yearly report from your electric company. The average 4-person home in the UK uses about 3,600 Kw of energy per year, but your actual usage might vary between 2,000 and 4,900 depending on your home, the number of people in your home, and how many devices you leave on. Economy 7 users typically use between 2,700 and 7,800 KwH per year. This is important because it affects how much of the energy you generate that you’ll be able to use. Energy Production – Different solar panels produce different amounts of energy, and this is important to consider. The average solar panel produces 148.48 watts per square meter of space, but you can choose panels that produce more or less electricity depending on the brand and your budget. For example, some brands like Sanyo and GE typically produce over 200 watts per panel while other brands will produce under 175 watts for a similarly sized panel. Therefore, you should attempt to check the math for every brand you are considering. If you choose lower efficiency panels, you will need more panels for the same amount of energy production. In this case, you can add 1-5 square meters to each of the calculations. In most cases, you can earn more by investing in premium solar panels that produce more energy in the space you have, especially if you have a smaller roof. If you’re mostly only home at night, you will be able to use very little of the solar power you generate unless you also invest in a battery system. Why? PV panels generate solar during the day and if you do not use it, it automatically goes into the grid. You will be paid for it, but it is still better to use as much as-is possible, because the 4.18 pence FIT tariff is much lower than the average cost of electric. This means that if you are home during the day to use the power generated by your PV system, you can save significantly more than if you primarily feed most of the power back to the grid. In addition, your Export tariff will likely be set to 50% of your total power, which will not adjust if you use more or less power. Even if you are using less than 50% of your power, you won’t be paid for the additional power exported. If you can use more power during the day, a larger system will definitely pay off. If you aren’t typically at home during the day, you can choose a smaller system and see comparable returns based on your lower upfront investment. However, if you do use more energy during the day, you should install the largest system that works with your space and budget constraints, because you can save much more by further reducing your energy bill. How does this work? The Feed in Tariff is set at 4.18 pence per kWh of energy produced as of the fourth quarter of 2016, which means that you receive 4.18 pence for every kWh of energy produced by the system, plus the 4.85 pence for about 50% of your total energy that you export to the grid. The average cost of electric in the UK is 8-11 pence, so you can save twice as much or more when you use the electricity yourself. If you’re ready to invest in solar panels for your home, let us help. Use our free comparison service to find and compare the best quotes from local installers to save up to 47% on your solar panel installation. 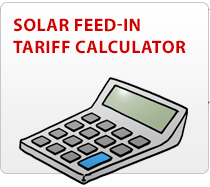 Or, use our free solar calculator to find out how much you’re likely to earn from your panels.